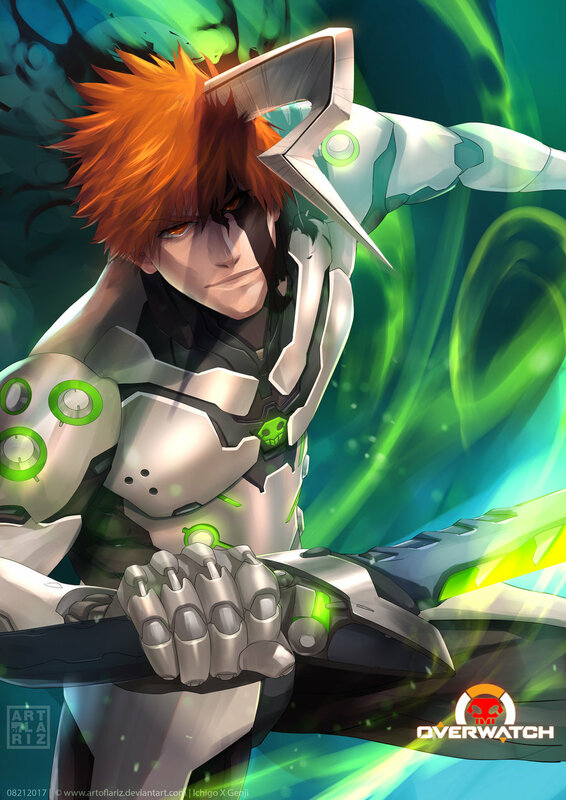 Ichigo Kurosaki from the world of Bleach and Genji from the world of Overwatch clash together as one as Ichigo’s visuals join together with Genji’s armour and abilities. The artist definitely put together two unique and individual things and brought life to such an awesome character, see for yourself. This fantastic crossover between Bleach and Overwatch was done by ArtofLazir. If you like this, go ahead and check out their other work. They also have an awesome artwork crossing over both Orihime and Mercy which looks pretty dope. Check them out, otherwise be sure to share this with other fans of Bleach and Overwatch.